When the invite slipped into my inbox for a second, more intimate, masterclass with Onken and Lisa Faulkner I was more than excited. 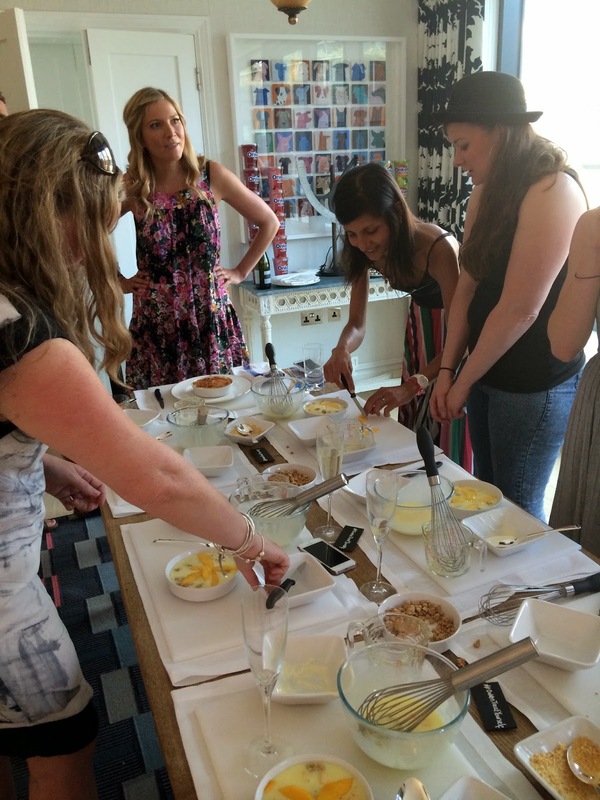 After the last event in April myself and fellow foodies learnt some simple and inventive ways of using yogurt in everyday cooking. Some of the recipes we learnt have even become weekly staple meals for me! 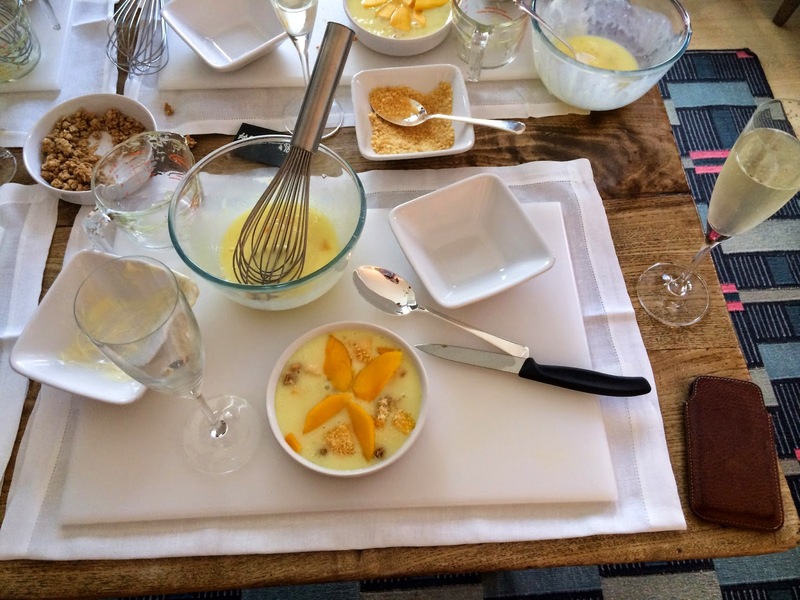 This time round we gathered at the gorgeous Ham Yard Hotel for an indulgent 'Treat Yourself' evening in which Lisa showed us how to make seasonal dessert dishes with the Onken fruits range. These included Creme brulee, Eton mess, smoothies and ice lollies. Its always lovely to have everything perfectly prepped and ready for you...with a glass of Prosecco! You can find all of the recipes (including the Creme Brulee shown above) on the Onken website, here. 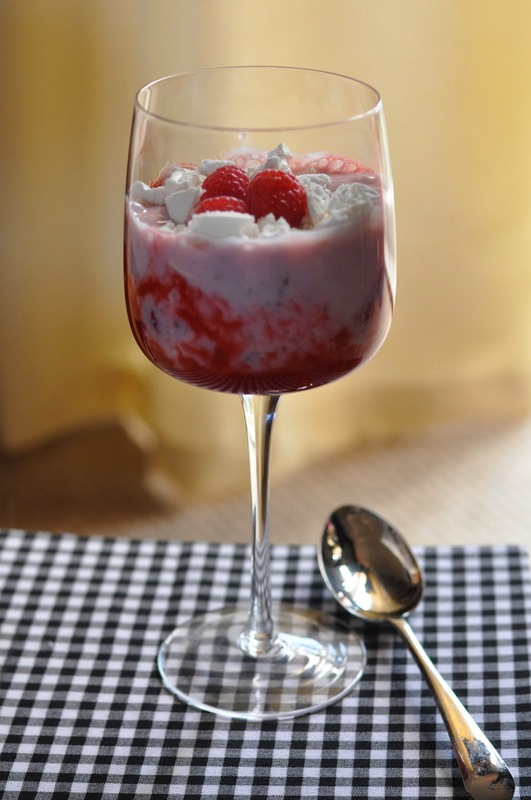 My favourite recipe of the evening was Eton Mess made with Onken fat free strawberry yogurt. A lighter, fresher twist on the traditional using yogurt instead of cream. Perfect for summer evenings and it looks great served in wine glasses. After a long day travelling back from the Cotswolds on Sunday, I made my own to enjoy. Place two thirds of the hulled strawberries and two thirds of the blueberries in a small pan with the sugar and a squeeze of lime. Warm slowly on a low heat until soft. Crush with a fork until smooth and chill. Mix the remaining fruit, chopped, in a bowl with the yogurt and two crumbled meringue nests. Divide the chilled puree between four glasses and layer over the yogurt mixture. To finish, crumble over the remaining meringue nests, some fruit and a sprinkle of hazelnuts. Feel free to use other fruit or any nuts of your choice. I used strawberries and raspberries in mine and some desiccated coconut. This looks so fresh and tasty- it's nice to see a much lighter version of Eton mess for once as I'm not really a fan of cream in the first place!